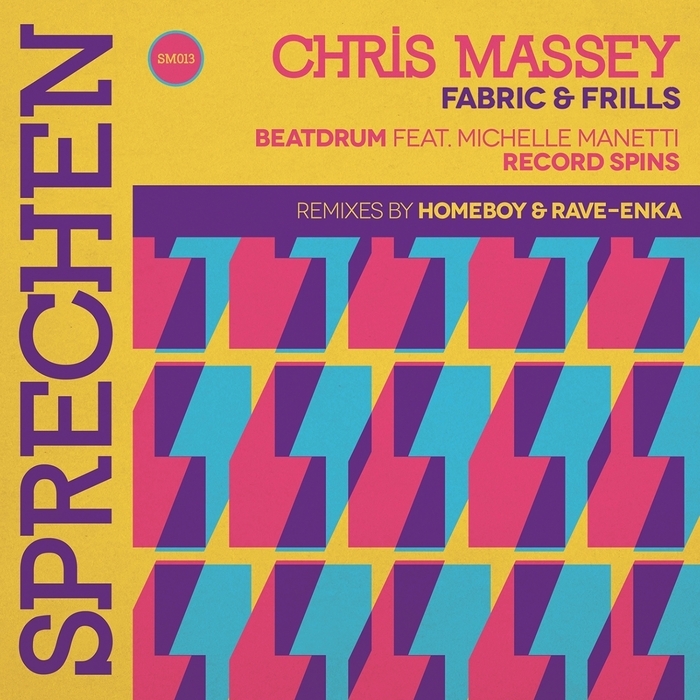 Following EPs from a range of upcoming producers, the 13th Sprechen release sees its boss back at the reins. Massey starts off the release with the jittery, rhythm and searing acid of "Beatdrum", before he moves into more commercial territory with "Record Spins". Sampling a stuttering vocal loop, he drops a menacing but infectious bass line, making for an accessible tune. On "Beatdub", he retreats back underground, accompanied by the sound of chilling sirens, dubbed out beats and jittery percussion, while this approach continues on "Beatdrum (Homeboy Redrum)", where organic percussion and stabbing riffs prevail. However, the EP concludes with the positively upbeat, summery Rave Enka remix of "Record Spins."